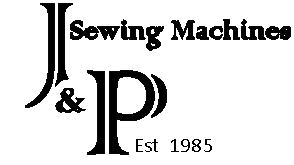 Our own on site engineers provide repairs, servicing and support for new and used sewing machines . 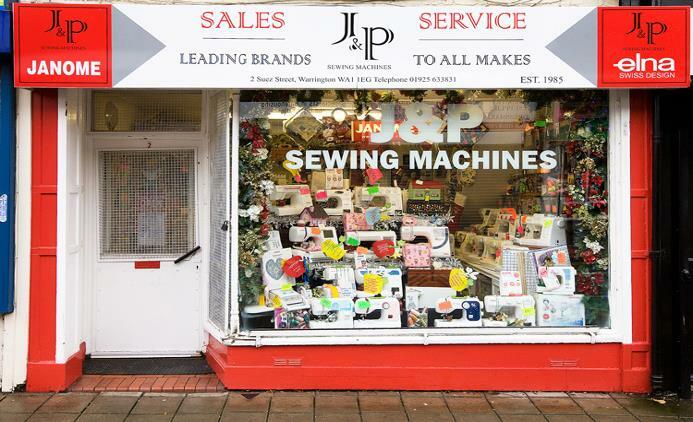 J&P customers vary from fist time dress makers to semi industrial also schools and colleges in Warrington and the surrounding areas of the North West . We only sell top name quality products and our aim is to help you find the correct machine for your use, ability and your budget. 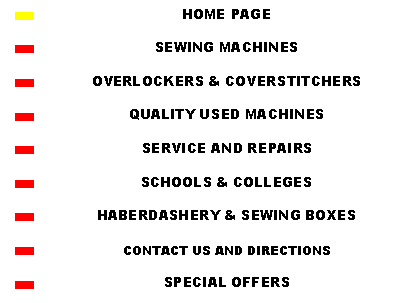 We accept part– exchange on new machines. We are located in central Warrington see contact us for details, we are wheelchair friendly but do not have disabled facilities. There is a loading bay out side the shop so you are able to park briefly and pick up or drop off your machine. You are allowed to wait for 30 minutes maximum.